On the market for 2 days Listed for $375,000 and sold for $375,000 3 br, 2 1/2 bath built in 1966 this split level was on a 50 x 184 lot. If you or anyone you know would be willing to rent their home here in Western Springs to a former resident please let me know. Rental term from end of June until September. Comes with references. Looking to pay approx. $300-$350 per week. You can leave home and have someone keeping an eye on your property! This home was listed for $339,000 and sold for $309,000. It was marketed by me for the Cook County Public Administrator. It had been vacant for 4 years. There were 11 offers ranging from $189,000 to over the asking price. Great 4 bedroom 2 1/2 bath home on a 77" wide lot. Needed work but will be a wonderful home. Well I have been a realtor for 34 years in town and I had to say WOW when I saw the sale price. Listed for $260,000 and lowered to $250 than $199,900 and Closed For $140,000. Value was said to be in the land as it was a 2 bedroom, 1 bath house on a 60 x 135 lot. Some of the prices will amaze you! This home was on the market for 178 days in 2010 starting at $535,000 and reduced to $485,000 Back on at $485,000 and lowered to $459,900- on that time for 190 days Listed again for $439,900 and lowered to $399,000 and was on the market for 145 days when it sold and closed on March 23rd for $375,000. 4 bedroom, 3 bath with a 1 car garage on a corner lot. This home backs up to a pond and park. All the upgrades you could want and gently lived in. I am passing this along to you since one of my weekly readers is related to this seller and thinks this is an exceptional home for an empty nester. If you know anyone call me. Call Office now for clarification. You do not need to wait until April 13th for Spring Tennis, Volleyball, Softball, basketball, fly fishing. 708-246-9070 to register for these classes. On the market for 324 days. Sold in March of 2009 for $360,000 Went on the market for $419,000 and was down to $379,000 when it sold for $372,000 on March 19, 2012 Built in 1951 and sits on a 50 x 131 lot. 3 bedroom and 2 bath ranch. Been busy with real estate but don't want to forget about all of my Western Springs Raffle fans! I will be giving gift certificates that can be used in the town to number 46 and 32 in honor of my new listing at 4632 Woodland in Old Town South. Here is a great home in a wonderful location that makes walking to town and the train a joy! Get rid of that second car when you purchase this home. And if you win a gift certificate walk uptown and visit our merchants. Here it is...a home in the location you come to Western Springs for. Walk for ice cream, coffee, lunch or a 5 star dinner. Get fresh fruit or high end meat. Need a gift, shop at the local gift shops. Walk to the library, play tennis at night and all of this is only a 2 to 3 block walk from this custom built 4 bedroom home with features you need to come see. $929,000. Move right into this home. On the market for 70 days 5333 Fair Elms Listed for $349,900 and sold for $325,000 on a lot 60 x 150 3 bedroom 1 1/2 bath with a finished basement. Here was a quick spring sale. On the market for 4 days. Listed at $299,900 and sold for $291,000 68 x 153 lot with an older bi-level with 3 bedrooms, 1 1/2 baths. I am guessing this will be a teardown but I do not know that for sure. This contest is open to ages preschool-5th grade. The form is available at wsprings.com, the library, the rec center, Grand Avenue Community Center and the schools. Submit the form by April 2nd to the Recreation office for display and a chance to win a prize! I am predicting a year with many teardowns. I personally just sold two that are going to be torn down. What is your prediction? Youth Lacrosse is for 1st to 8th graders and starts outdoors in April. Find out more at their home page. This home sold in September of 2008 for $510,000. 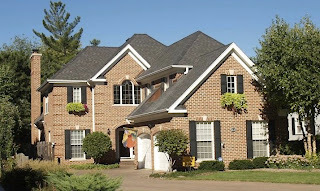 Listed in April 2010 for $524,900 and lowered to $485 on for 128 days. Back on in August 2011 for $499 and lowered to $439 Closed March 14, 2012 after 184 days for $408500. Charming home on Johnson in Field Park. n the market for 115 Days. This home started at $319900 and was lowered to 299900 and sold for $265000. 3 bedroom, 2 bath bi-level on a 50 x 150 lot. Original owner.